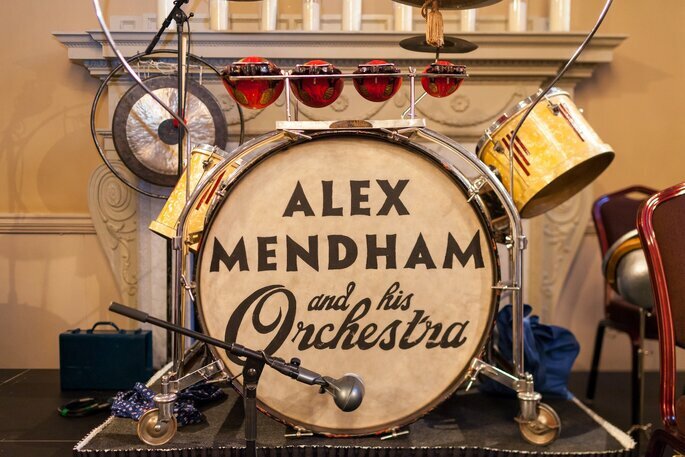 Choosing Your Wedding Music: Live Band, DJ or Both? 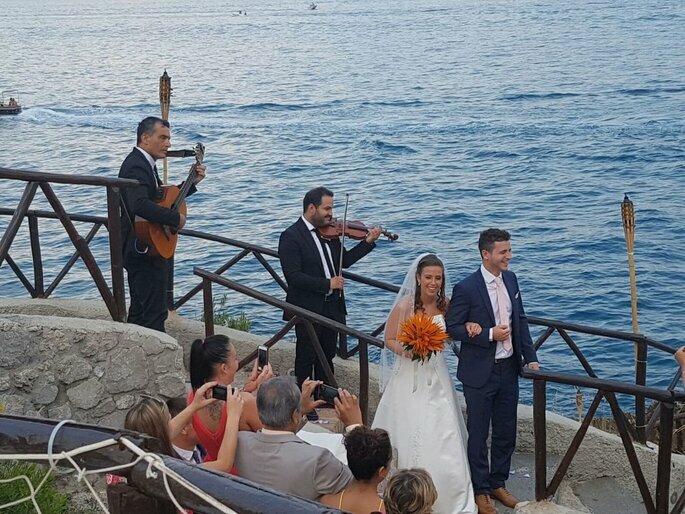 Italian DJ Jody Belli returns to give us his advice on combining a DJ and a live musician for your wedding - could this growing trend be the perfect choice for your big day in 2019? Choosing music for your wedding is much more than a matter of preferences. It is not simply a question of choosing a playlist; there are many decisions you will have to make. 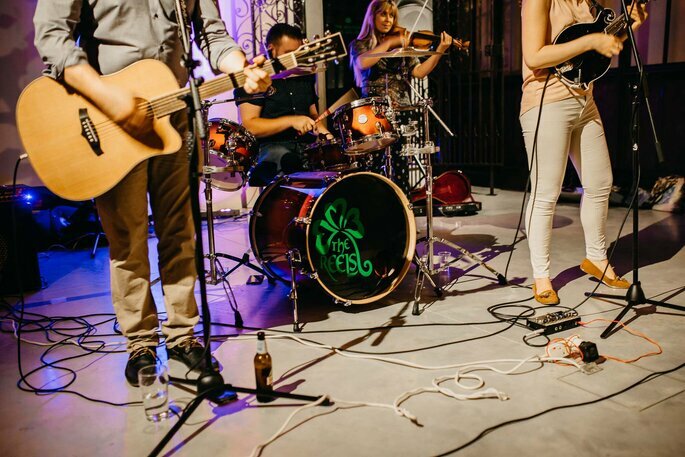 First of all, you will probably face the age-old question – whether it would be better to have a DJ or a live musician create the soundtrack of your big day. Both choices can be successful as long as you choose real professionals – specific experience with weddings is essential! However, the important thing is that they are clear about what kind of entertainment they can guarantee, because a DJ or a live musician will perform in a different way and the atmosphere they will provide your party will be different. But what if you are not forced to make this difficult decision? In this post, we do not want to go over the pros and cons of the two solutions. Rather, we will show you a third way that is becoming a real trend for wedding parties. In recent times, more and more couples choose to combine the DJ set with live music. Usually, they get a live band – a jazz repertoire is a classy choice – for the aperitif and have the DJ for the for the highlight of the party. This way, you can create an intimate, welcoming situation for your guests and then let them have a blast on the dance floor! But if you want to add a touch of originality to your wedding party, then your choice could fall on a duo: DJ plus live musician. This is a different situation where the musician fits into the DJ set. Together, the DJ and the musician will provide a new and, above all, unique sound to your favourite songs. 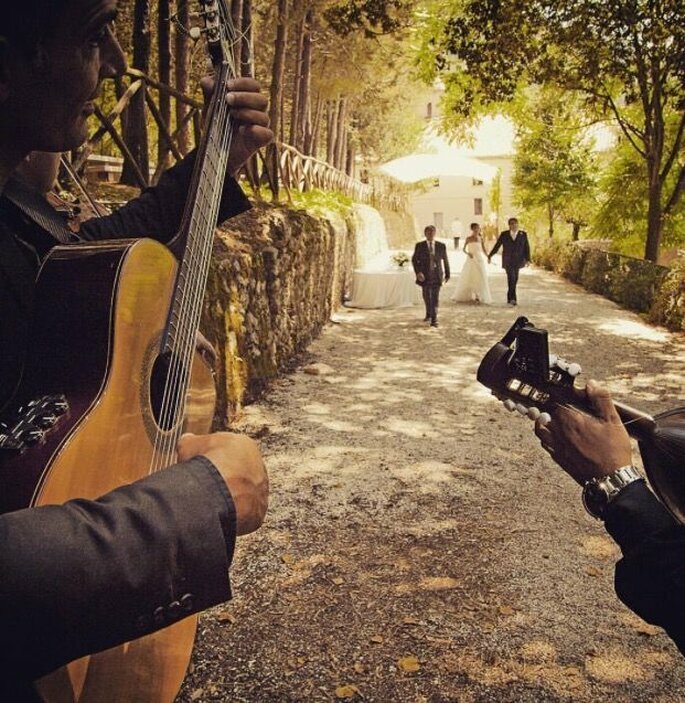 If you’re hosting a destination wedding in Italy, The Arechi Group should be your point of call. Thanks to its experience performing in concerts and organising events around the world, this team offers you the opportunity to enjoy some unforgettable entertainment for your wedding day. The renowned Arechi Group boasts incomparable musical talents through performances that will embellish your wedding, giving it a unique and special atmosphere. 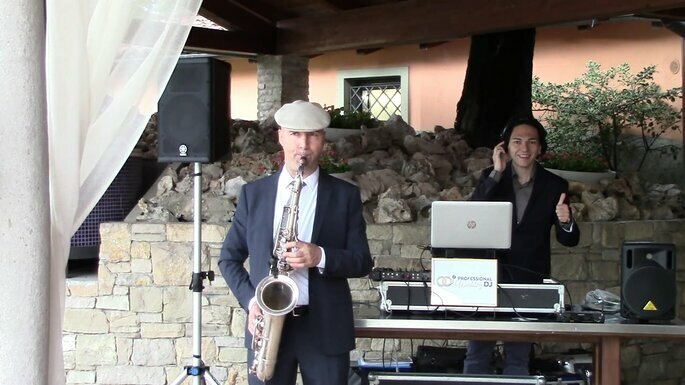 We at ProfessionalWeddingDJ gladly recommend this option for our brides and grooms who are getting married in Italy. There are different, fascinating possibilities: DJ & sax duo, DJ & percussion duo (the most popular instruments to perform with alongside a DJ) and DJ & electric violin duo (an emerging solution). But be careful: there is a risk of switching from perfect entertainment to absolute disaster if you do not choose two providers who complement each other. Credits: Kate Chruscicka – a wonderful option for your violinist in the UK! It is not just about choosing a good DJ and a good musician. It is essential that they know each other and have already worked together. Improvising does not mean that they do not have to rehearse before your event. Moreover, the DJ must be able to choose the songs and the right beat for the musician (saxophonist, percussionist or violinist) playing with him. So, a DJ plus live musician is not simple, and requires harmony, preparation and experience. However, is an original and fascinating way to entertain your guests, and it can really work for you! Our Italian DJ guest blogger is back with the songs your wedding playlist must have based on the Grammy winners! We're here, and we've got the best 100 love songs in HISTORY for your wedding day! Have a scroll, and let us know what you think! Choosing music for your wedding ceremony and reception can be tricky, particularly because of just how many musicians there are out there. Check out Zankyou's five favourite freelance musicians for the chance to have some truly spectacular tunes on your big day - or simply for inspiration on genre and style! 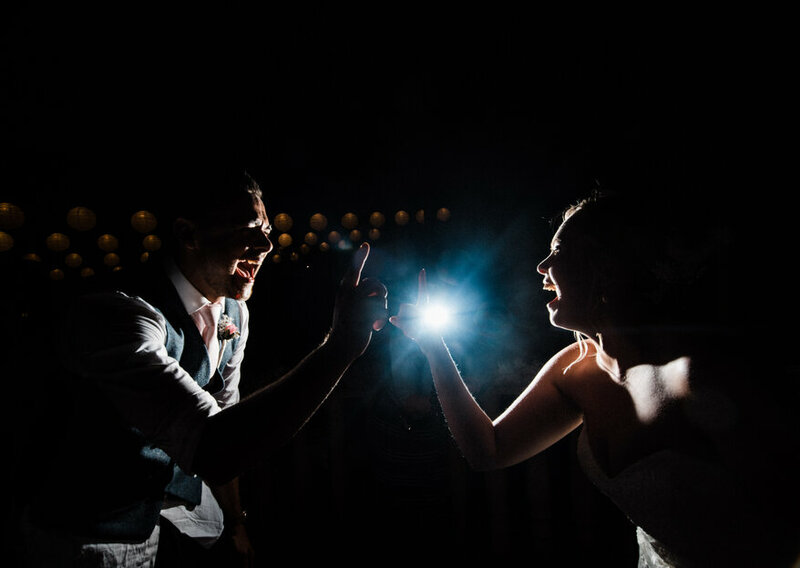 Use Zankyou's tips to decide on the music that will become the soundtrack of your wedding day - not only during the reception, but during the ceremony itself. The song that plays during your first dance has to be just right - it sparks off one of the most crucial moments of the wedding! Check out our guide on how to make sure you make the best decision! 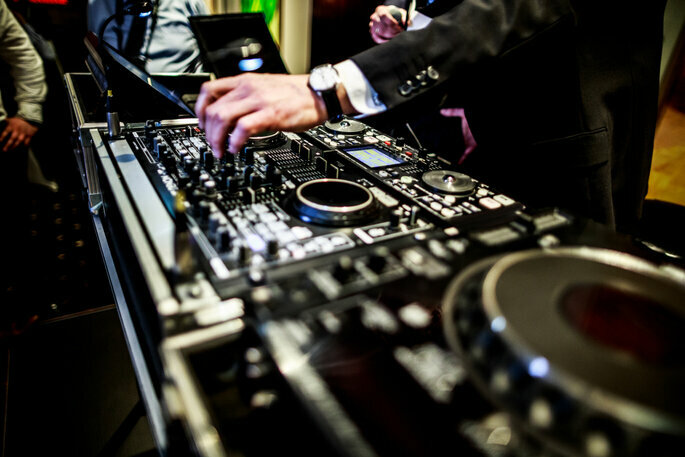 Our guest blogger, Jody, writes on behalf of his DJ company ProfessionalWeddingDJ, and gives us his top three tips for choosing the best music for a first dance! Zankyou's definitive list of the 25 songs you should have on your wedding party playlist to please guests and make for an unforgettable evening. There's something for everyone!